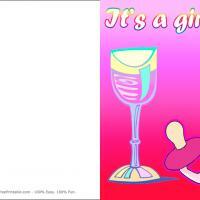 This card has a blue trolley, which symbolizes a baby boy. 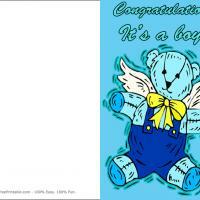 Congratulate the proud parents as their new baby boy arrives! 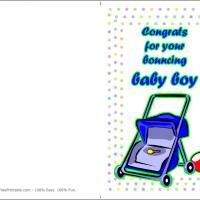 These printable baby cards are fairly simple; it just features a blue stroller with a red ball beside it, but it's the perfect way to ring in the new boy. 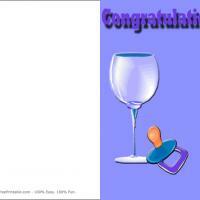 Print this card and write some wishes for the new baby and the family will surely appreciate it. Don't forget to include any other messages and images you see fit! 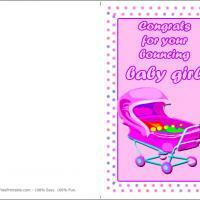 Printed on the right kind of paper, this card can become a treasured part of a baby scrapbook, so print and enjoy!